So I have seen these lovely videos which I think are amazing! What a lovely way to teach positive interaction, also touch and permission to touch. 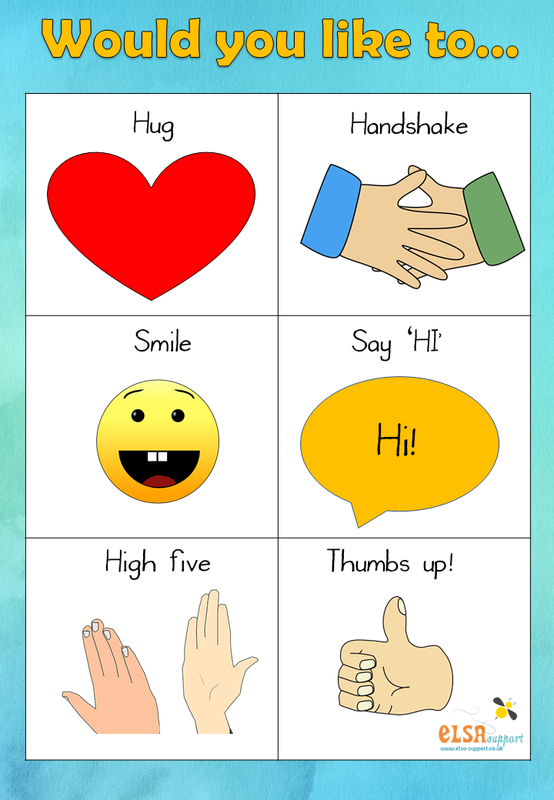 Inspired by these I have made a greeting sheet for you to download. This is such a great idea. What a lovely way to greet children in the mornings. Also love the idea of children, giving their consent. Tried this with a group I take, they loved it. They all sat down with smiley faces. Great start to the session. Also had the choose a reward – only down side of that is I may need to buy lots more stickers !